In a world where everyone has an opinion, how do you know which one you should listen to, especially when it comes to your health? Dentures versus implants; how do you choose? You should be informed about what your choices are, how they work, and the pros and cons of each one. Dentures are false teeth that have to be secured in your mouth with a special adhesive. They can be full sets or partial sets, depending on the needs of the patient, but partial dentures can promote tooth decay on the remaining teeth if they aren’t properly fitted. Dentures also risk falling out if they aren’t properly secured, which can cause embarrassment and even injury to your gums or other teeth. Dental implants are surgically implanted and can last 20+ years with good hygiene and maintenance. They are often a popular choice for people missing one or two teeth, but can also be used if you are missing more. Implants are more low maintenance than dentures. They won’t move or slip around and once they are in you don’t have to worry about removing them to clean them, and there are no adhesives to worry with, which means they are a better decision for the long term. We offer a few different choices for dental implants. A single implant is a very natural looking way to replace one tooth. Same day implants are a temporary fix for a missing tooth or teeth. They are a good choice if you have enough natural bone to support the placement. The All-On-Four implants we offer replace teeth from top to bottom in an arch. They are placed on the available bone to avoid bone grafting. If you go with this option you have to follow a balanced diet while the gum tissue heals so that the implants can bond with your natural bone. After a few months with the temporary placements, the permanent implants are placed. The procedure for getting implants can be very difficult for a dentist to perform, which is why you need to choose someone who specializes in dental implants. Dr. Kendall is one of those dentists, and he takes pride in his ability to offer his patients a stress-free experience. Don’t be afraid about the cost of implants either. When you buy a new car, the value depreciates the instant you drive it off the lot. But dental implants are a life long commitment and they will always be a part of your well-being. They are a great investment to make in your life. 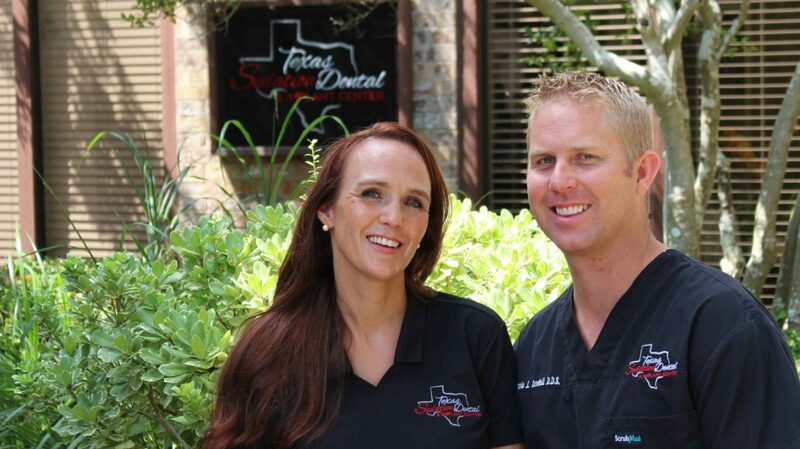 The upfront cost can sometimes be covered by insurance because of how much of a long-term commitment these implants are, but here at Texas Sedation Dental and Implant Center, we offer convenient payment and financing plans as well. We are committed to supporting our patients on their journey to a healthy, glowing smile. placement options that dental implants provide, your insurance company may offer some coverage. Should your finances not allow or your insurance plan will not cover your procedure, we have several financing options available. We can help those patients that are committed to living life with a big smile again.